Woodbine will sleep eight people (maximum six adults), plus up to four cots and is ideal for two families. Downstairs is largely open-plan and includes a galleried living area with a high ceiling, exposed beams and trusses, large French windows, a wood burning stove, leather sofas, dining area and a well equipped kitchen including a dishwasher. Also on this floor is a separate double bedroom with a kingsize bed and en-suite shower room/WC. On the first floor is a gallery area with pleasant views over fields and hillside. Here are three further bedrooms, one double (with kingsize bed), one twin and one bunk bedded. These bedrooms benefit from blackout blinds perfect for young children. There is also a separate bathroom/WC with over-bath shower. Luxury 300 thread count cotton Dorma bed linen is provided in both double rooms. All first floor rooms have roof lights making them light and airy. 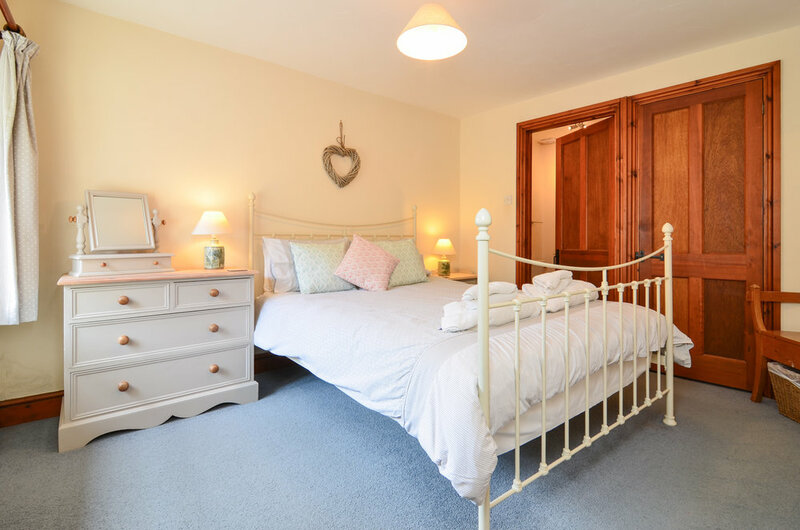 When booked with 'Clematis' this cottage will seat 10 for dining. For a full list of everything that we provide within our cottages see our Cottage Overview page. Use the calendar below to check prices and availability for Woodbine. To book just click on an available start date. 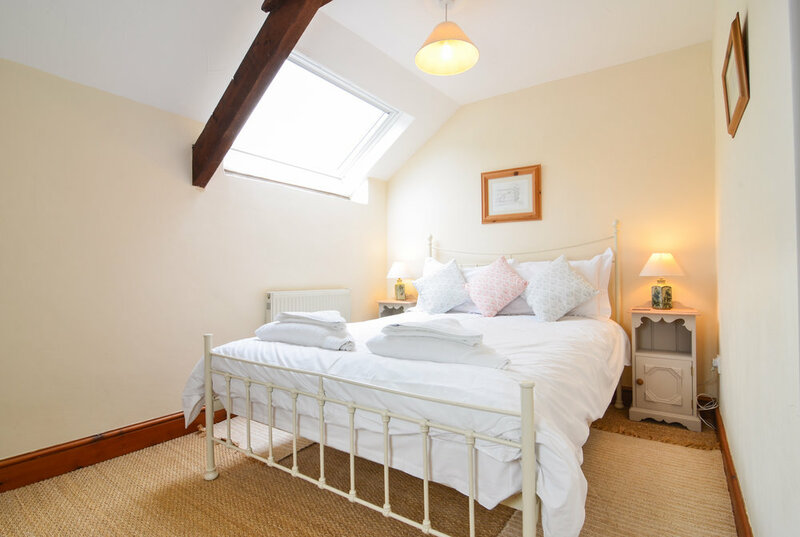 Alternatively you can view availability for all of our cottages by visiting the Prices & Booking page.